While I’m in the Disney parks, one of the things I enjoy the most is the music that can be heard either subtly or overtly through the World. Disney music has the ability to help immerse you in the surrounding environment, be it through futuristic tones floating through the air in front of Spaceship Earth, native drums in Africa, a mariachi band in Mexico, banjo in the hills of Big Thunder, or whimsical calliope music on the regal carousel. No matter where I am in WDW, the music adds a layer to the whole experience. Thus, when I find myself at home in New York and missing the World, I turn to Disney music to help me feel as though I am in the parks and add a little Disney magic to my day. While I mostly have CDs, there are a few websites I visit to obtain Disney music from. I thought it would be fun to share with you my Disney music fixes- from the CDs that are in constant rotation in my car to the background music I use as…well, background music while working. I hope you can check out some of this music as well and ease that feeling of missing the parks today! Magic Kingdom Event Party Music CD– This CD pretty much doesn’t leave the stereo in my car as it features the music from my absolute favorite event in the Magic Kingdom: Mickey’s Not So Scary Halloween Party. Kicking off with HalloWishes, you are treated to the fully narrated Halloween version of the fireworks show followed by the entirety of the Boo To You Parade’s soundtrack. There are also tracks from the Pirate and Princess Party, Music, Magic, and Mayhem, and Dream Along With Mickey. This CD is perfect listening for the fall (or whenever) to get you into both the Disney and Halloween spirit! Four Parks – One World CD– Another CD that is constantly playing in my car, this features classic Disney music from all over the World. Ranging from background music to prominent features on attractions, this is the CD to go for if you are craving a taste of the parks. Highlights for me are “One Little Spark,” “All Aboard the Mine Train” (from Big Thunder Mountain’s queue), and “Hooray for Hollywood” (Hollywood Boulevard’s background music). SpectroMagic CD– As a huge SpectroMagic fan, I was pretty bummed when it ended its run in 2010 to make way for the return of the Main Street Electrical Parade. Since I can’t see the parade in person at the parks anymore, I get to live vicariously through this entire rendition of the parade from start to finish. Disney’s Electrical Parade CD– Even though I was sad to see SpectroMagic go, I still greatly enjoy the Main Street Electrical Parade as it brings back so many childhood memories. This CD features the entire parade, including Elliot the dragon “talking” to the audience (my favorite part!). The Official Album CD– This album features some of the same music as Four Parks – One World, but includes music from Disneyland as well making it worth the purchase in my opinion. You get to listen to additional tracks such as “The Ballad of Davy Crockett” and “Fantasy In The Sky” direct from Disneyland. My favorite track on the entire CD is “Fantasyland Castle Medley” as it beautifully blends with “When You Wish Upon A Star” and immediately makes me feel as though I am standing in Cinderella Castle about to emerge into Fantasyland. Epcot – Illuminations: Reflections of Earth & Tapestry of Dreams CD– Featuring music from both the current fireworks/pyrotechnics/laser show and the retired parade, this CD makes me feel as though I am standing around World Showcase Lagoon every time I turn it on. Plus, it allows me to remember Tapestry of Dreams any day! Wishes: A Magical Gathering of Disney Dreams CD– This is perhaps my favorite CD of the entire collection. Featuring both the music and narration from the nighttime fireworks show of the Magic Kingdom, the Wishes CD can take any old day and make you feel as though you are ending your night staring at Cinderella Castle and watching the sky light up with color. This one is definitely a must have! 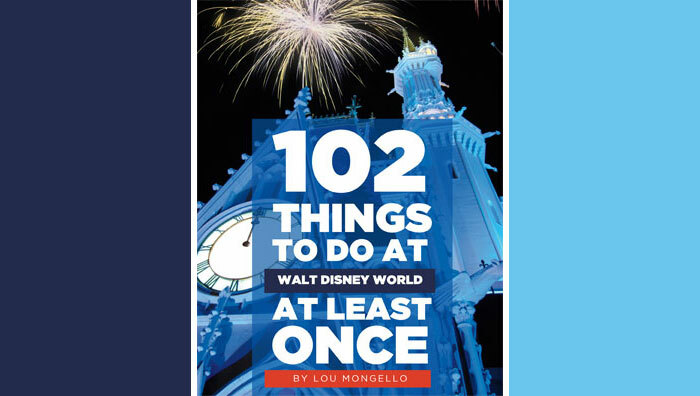 Lou’s Walt Disney World Audio Tour CDs– What WDW Radio fan’s Disney music collection is complete without Lou’s audio guides? Covering every land in the Magic Kingdom (except for Tomorrowland which has not come out yet) Lou shares facts, trivia, and history of each area with wonderful background music to boot. These guides are must haves for any Disney fan who is interested in the Disney detail behind each land! You can find them in the shop on wdwradio.com! 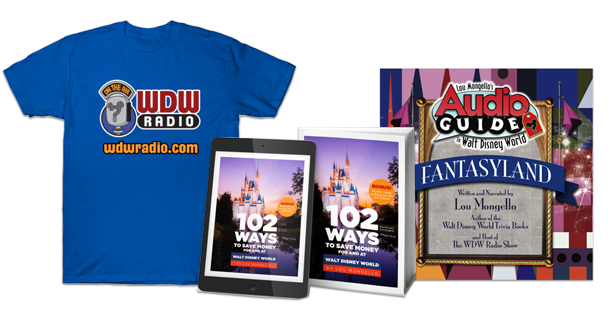 Mouseworldradio.com – This website allows you to listen to any of its six channels for free and offers a quick fix to any Disney withdrawal. These channels feature everything from the most common Disney parks music to themes from extinct attraction and obscure background music. I find that while I am writing or working on my computer, inevitably one of those channels ends up playing in the background. So there you have my Disney music fixes to get me through those in between vacation periods. You can’t go wrong with any form of Disney parks music, no matter whether you choose to listen to the soundtrack to a parade, fireworks show, or a theme from an attraction. So go ahead and get listening! Do you have a favorite piece of Disney parks music? Did I leave something off of my list? Let me know in the comments below, I would love to hear from you! Caitlin Corsello was born and raised in New York. She graduated from Adelphi University with a Masters in Mental Health Counseling in 2012. Her love for Disney started as an infant and has continued to grow with family vacations to Disney parks almost every year since. She holds a particular interest in WDW’s parks and attractions, never passing up an opportunity to visit. She looks forward to continuing to explore and learn about all things Disney and to share that passion with readers. Best of all, this app is FREE. I always find myself on Spotify (even at this moment) listening to Disney’s Greates Hits albums – it comes in 3 volumes, and I’ve put them together in my own giant Disney playlist – it’s great! Live365.com has several very good stations that stream Walt Disney World background music, ride sounds, and other audio cues like the monorail etc.. I would recommend the Country Bear Jamboree. Its a great cd of the original music. Also, the Haunted Mansion CD and Disneyland’s Walt Disney Takes You to Disneyland. I love the music from Soarin’ and have searched far and wide trying to find it. According to a couple of websites the only time it was sold was on a, now out of print, California Adventure CD. Derek — Sadly I don’t have an iPad, but that app sounds awesome! Andrew — Thanks, I’ll have to give Spotify a try! Fred Aebli — I’m going to check out Live365, thanks! Hank — Love the Country Bears music, and I forgot to add Disneyland’s Walt Disney Takes You To Disneyland to this list. Thanks for reminding me! Kendall Foreman — The music from Soarin’ is featured on the Four Parks – One World CD which you can definitely find on Amazon for fairly cheap. amazing!! I have the 4 parks cd and have listened to it to death so I can’t wait to listen to mouseworld radio! I LOVE listening to Lou’s Tours!!!! Whenever I miss the parks, I pick one to listen to and I feel all better. 🙂 Since I’ve been going to Disney since it opened, I can recall all the historical stories he tells. Love them! Caitlin – Thank you for your knowledge of Disney music which is obviously superior to the websites I was looking at. I can’t believe they didn’t list that the Soarin’ theme is on the Four Parks CD. I will be purchasing a copy in the near future. Reedy Creek Radio has a great iPhone app. It’s my background music at work daily! I have the Storybook Official Album, with “New” tracks from New Fantasyland, to Test Track revamp & Star Tours: The Adventures Continue. Around 2004, I began to collect Disney area music. Nowadays, it’s actually much easier to navigate than it was at that time. I started with the Illuminations pre-show music, which was a feat to acquire. For the opening song (They Were Dancing Barefoot by Yehuda Poliker), I had to order the CD from TEL AVIV, ISRAEL! Not kidding. I thought it was so amazing! I ordered every full length CD featuring the 10 songs that were played prior to 2004. Since that time, I have purchased so many CDs, MP3s, etc. to acquire basically any area music I could get my hands on. My laptop currently holds 800+ Disney songs which does not include my Disney Christmas music. It’s ridiculous but I absolutely adore it! It’s what I’m listening to when I’m not listening to Lou’s podcast.